Caddy front door the same as a Touran? 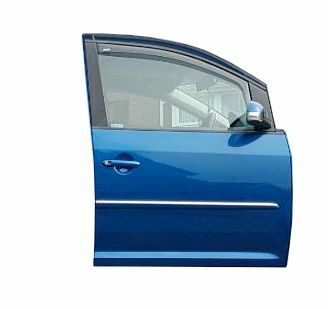 Will a Touran front door fit a caddy on a 2007?? Re: Caddy front door the same as a Touran? The Touran doors are a different shape to the caddy and therefore are not swappable. the only difference i noticed is just where the mirror sits even the little window infront of the door looks the same as the touran one. so to me its just mirror part and the glass that have changed sizes so if the touran door is the same in size and shape else where then would be just a swap over and then touran mirrors would just bolt on. i was surprised that they was different as they are both similar especially front end. The top of the Touran door and the Caddy door are different profiles.